The most talked about couple of Kollywood at the moment happens to be newlywed love birds Arya and Sayyeshaa. The couple first met each other in the sets of Ghajinikanth that released last year. The couple got along well from then and as it happens the rumors started setting the internet on fire. To everybody’s surprise in a very short span of time the duo announced their wedding. Their marriage took place last week at the Faluknama palace in Hyderabad, where the dream boy of Tamil cinema locked hands with the pretty actress. The wedding was attending by many stars and family members. 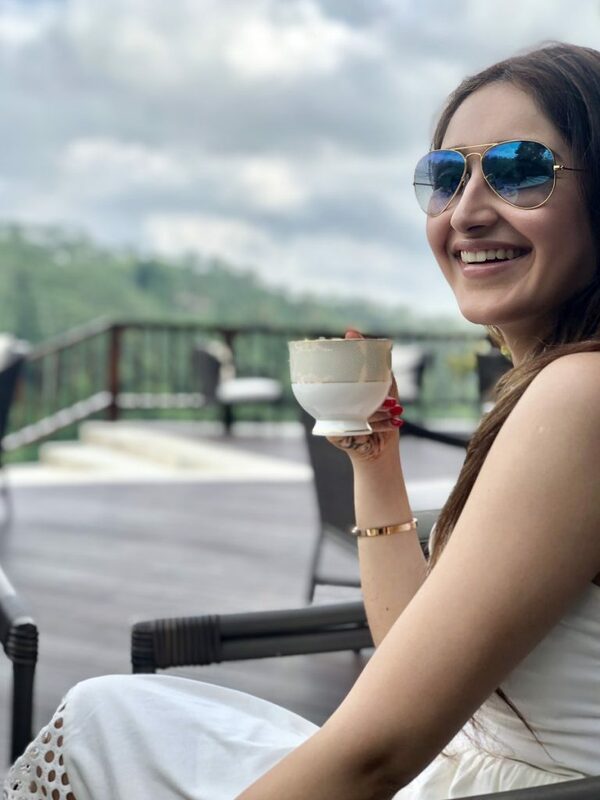 A video of the bride Sayyeshaa dancing on her sangeeth function surfed all over the internet during their marriage event. The cute couple is currently on their honeymoon spending some cool family time. The beautiful actress has managed to snap many lovely clicks of them being together and posted it on her instagram account. The lovely pictures of the cute couple were all over the internet for the past couple of days. Again today, the pretty actress took to her instagram and posted couple of new photos of her with the caption “Soaking in the sun with my love’ and made sure to mention that the pictures were captured by none other than her husband Arya, with a pic courtesy mention. The beautiful photos that are taken in a serene location post their marriage have become viral across social media. As usual there were people who were very critical about the act as well as people who showered blessings on the couple. Before the magnitude of this sweet shocking surprise goes down, the actor’s close friend and head of Tamil industry producer council actor Vishal announced his engagement with Anisha Alla Reddy. The duo also exchanged rings in a privately held ceremony at the plush hotel. Hearing this engagement news people were quick to point out the promise that the actor made during his actor association elections. The actor had promised to build the actor’s association building first and then get married in the same building. Jovially on a television show the actor’s association president said that he will get married in the first floor of the building and on the same day in the second floor will be his friend Arya’s marriage. On the work front, the Arya and Sayyeshaa are set to act in Shakti Soundarrajan directorial Teddy. The movie will be produced by Studio Green. The duo is also set to play a key role in the Suriya starrer Kaappaan directed by the KO fame director K.V. Anand.